Support & LearningGain access to our knowledge center including webinars, documentation and tutorial. About GeoUndergroundLearn about how to better manage your infrastructure. News & Insights Check back often for the latest news, updates and features of GeoUnderground. ContactGet started today! Contact us for more information about GeoUnderground. MarketsFind out what GeoUnderground can do for your specific use. The Permian Basin in Texas is the top US oil producer. Geospatial was called to help install new pipelines in a challenging and tricky situation. The Permian Basin in western Texas and southeastern New Mexico has produced billions of barrels of oil since being discovered nearly a century ago. Fracking technology has brought a renewal to many Shale formations including the Permian, yet the takeaway systems need upgrades to match the increased capacity. 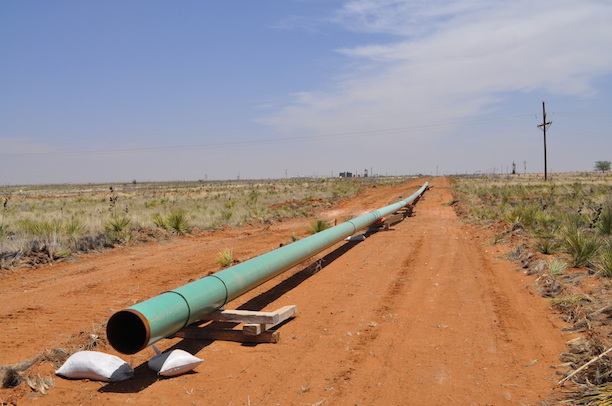 When Geospatial Corporation was called to clear an area for the installation of new oil transmission pipelines in Sundown, Texas, we faced several unique challenges. Before new pipelines could be installed, we had to locate and map the existing tangle of old pipelines in a 3-square-mile area. Some of the lines were carrying dangerous gases with the potential to seriously injure anyone who became exposed because of broken or leaking pipes. This task became even more difficult because of the variety of materials used in the existing pipelines, with plastic and fiberglass presenting the biggest challenge in our mapping efforts. Our unique combination of technologies allowed us to survey and map the oil fields and clear the areas where the new pipelines would be installed. After looking at the data we successfully collected to map the area, our client was able to start working more safely and efficiently. GeoUnderground, Geospatial’s cloud-based GIS mapping platform, allowed our client to visualize the underground pipelines we mapped with x,y, and z coordinates, plus provided geo-referenced photos and video. These assets are visible in the field on both mobile and tablet devices, for easy access from anywhere. © 2014 Geospatial Corporation. All Rights Reserved. Google, Google Maps, Google Earth & Google Apps for Business are Trademaks of Google Inc.